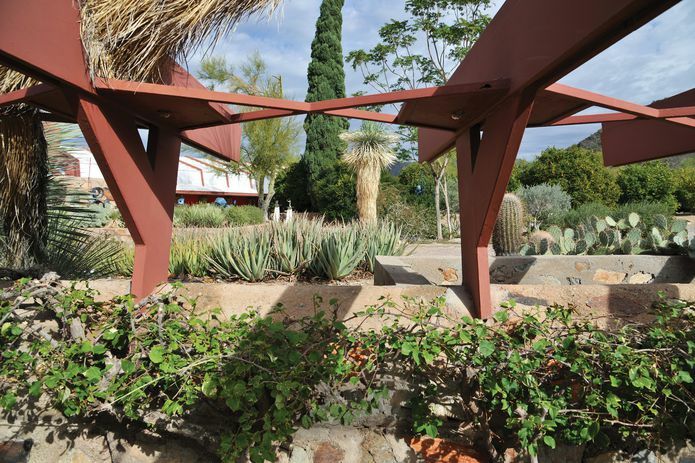 The designed plantings at Taliesin West are not only drought-tolerant, but largely drought-proof, meaning they can survive on almost no water. In a mid-1900 address to the Oak Park Fellowship Club in Chicago, Frank Lloyd Wright discussed many of the central preoccupations of his work; these are outlined in a polemic he wrote, entitled “Concerning Landscape Architecture.”1 Ostensibly a lecture to a local community group, it is filled with opinion about approaches to landscape design. 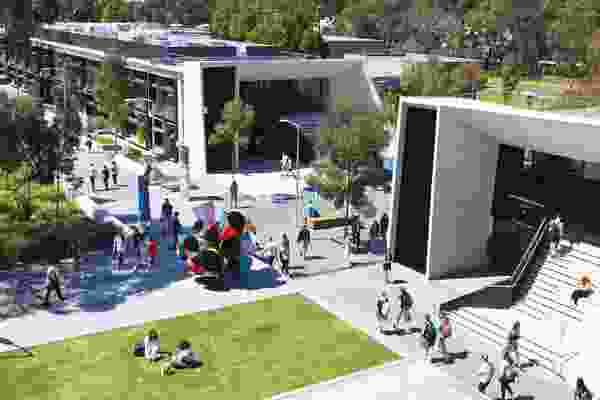 Then just a few decades old, the design discipline of landscape architecture grappled with the legacy of the “styles,” the doctrines of the beaux arts and other imported traditions. Most came from Europe and modernism had yet to be seen on bookshelves or in magazines. Debts to history were stock-in-trade. Wright’s words reveal much about the sources of his early thinking and attitudes to landscape design, citing Gertrude Jekyll and her then fresh-published book Home and Garden,2 a work Wright suggested should be on the shelf of every library. The fact that he cited Jekyll without mentioning Edwin Lutyens, the other half of this enduring partnership in design, is also revealing. 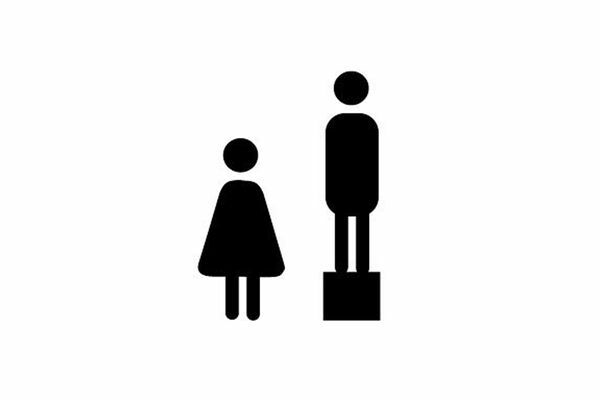 The two together were so much more than each in separation. Jekyll brought the wisdom of William Robinson and the “wild garden” to their compositions, while Lutyens brought the order of the plan, the mastery of levels and terraces, and the taut transitions and detailing of rare genius in external works. Overlaid on the Arts and Crafts music of Lutyens’ plans, the plantings of Jekyll became the changing highlights, drifts of natural display arranged for form, colour, light and seasonal succession. Wildness and disorder had become key virtues for design. In these two minds lived all the world of landscape architecture. And so it was with Wright and his disciples of the nascent “organic” tradition, and this strand of the Arts and Crafts movement in America. In the 1900 essay, Wright returns many times to the theme of “natural” beauty, railing against the rigidity of the formal garden and the mania for clipping, shaping and bending plants according to the ill-advised obsession of the well-meaning garden maintainers. He writes, “Now, in the school of which I speak, landscape architecture has a decidedly architectural basis – that is an architectural plan in arrangement and division, which provides for massing and grouping of foliage according to its true nature, that is, as it naturally grows best, to show its full beauty, as a lilac, a syringa, an elm, an oak, or maple.” Wright could be reviewing any work of Lutyens and Jekyll – that rare combination of order and disorder, the architectural plan wholly the servant of the revelation of successional, casually arranged planting design, where “natural” beauty was allowed to speak its own language of rise and fall, display and decay. Frank Lloyd Wright’s Taliesin West provides a lesson for how to design for a very dry and hot desert landscape. 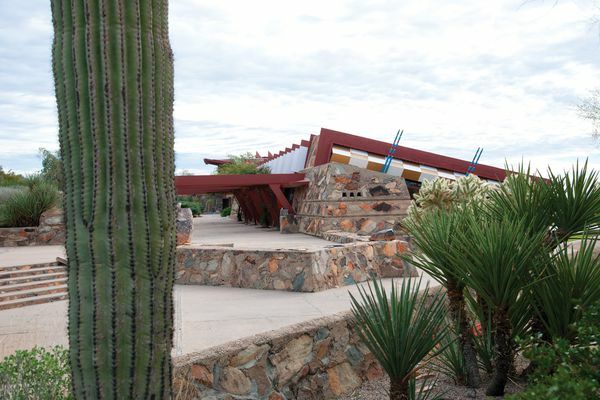 It is worth travelling across the world to visit any work by Frank Lloyd Wright, but a visit to the studio complex at Taliesin West in Scottsdale, Arizona should be high on any list of possible study tours. As with most landscapes, photographs can scarcely suffice to show why, and most published images of Taliesin West seem to leave out the landscape, which is telling, as this is first and foremost the “architecture” of the place. 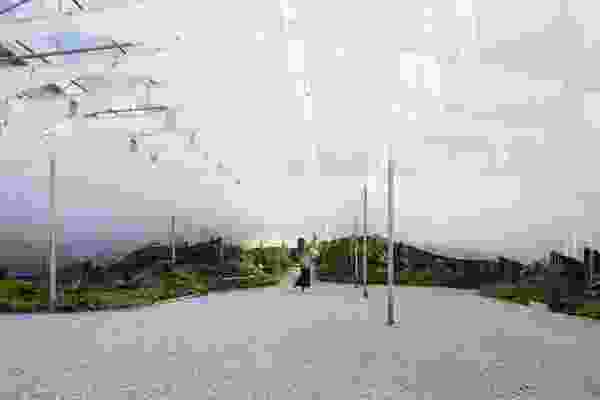 It is there in the siting diagram, the radiating plan, the building designs, the relationship to views and topography; the design as a whole is an essay in learning how to live, an architecture for a very dry and very hot desert landscape. There is so much to learn here. The long terrace, stretching to embrace Wright’s office and studio, and the wider terrain beyond follow a contour line out along the line of the hill. Walking the terrace traces a key line in the plan, the place where the order in the architecture aligns directly with the order of nature around. The surrounding plantings, the local native plants of Arizona, sweep right up to the terrace, so close that you could touch them, absorb the detail, remark on the flowers and foliage, see the wild for what it is. Or not touch them, as the case may be. There, elevated just a foot or two above the natural grade, on a terrace line drawn more than seventy years ago, one of the great lessons of recent history is made available. 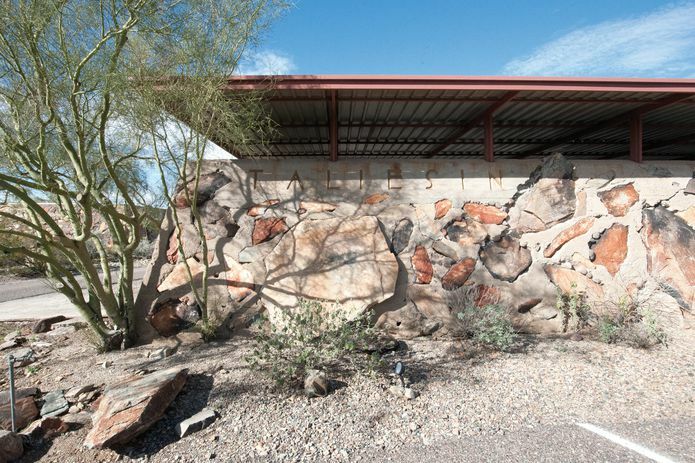 The designed plantings of Taliesin West also tell us much. Stitched into the desert scene, a very diverse array of local natives and exotic plants are placed as highlights. 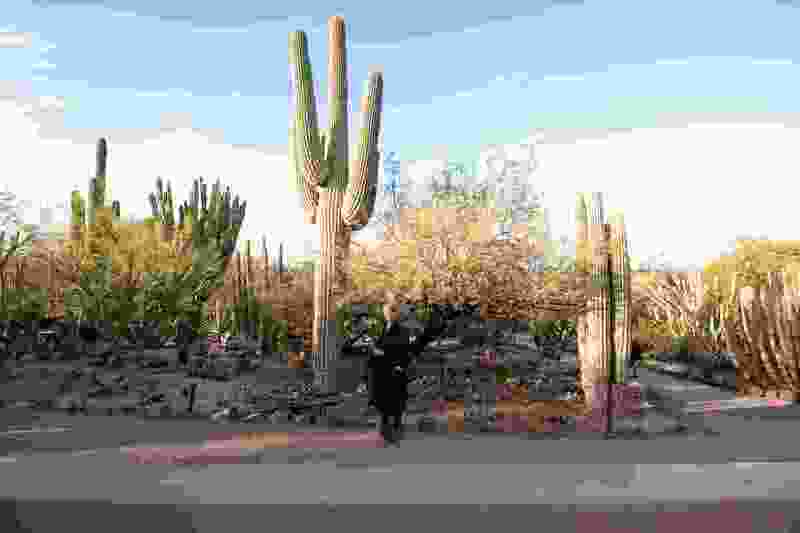 In this context, sculpture is simply not necessary, when the forms of Carnegiea gigantea (saguaro) or any number of Agave, Aloe, Nolina and Yucca species are on offer. And so many more. A diverse array of local natives and exotic plants are placed as highlights at Taliesin West in Arizona, USA. 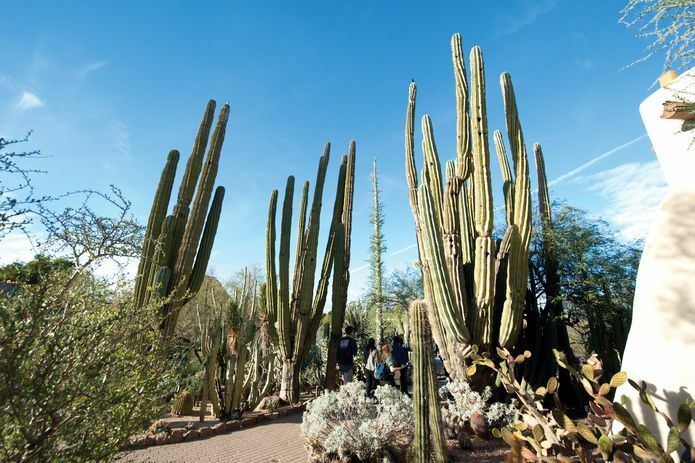 A visit to the Desert Botanical Garden in Phoenix should be the next port of call. 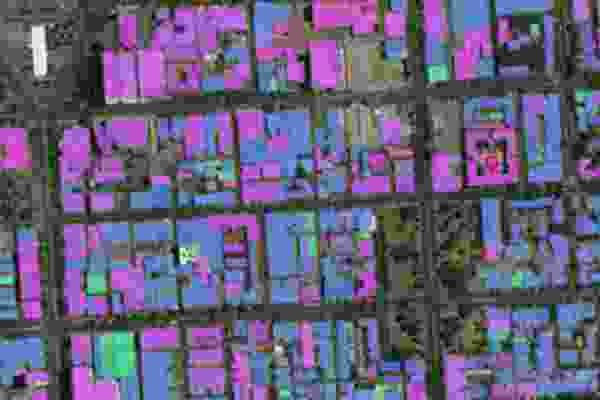 It is said that Australia is the driest continent on earth, and that may be true, but in the USA many millions live in places where rain rarely, if ever, falls in any given year. The adaptation to climate and place in Phoenix is quite exceptional and perhaps this is partly an echo of the lessons learnt from Taliesin. 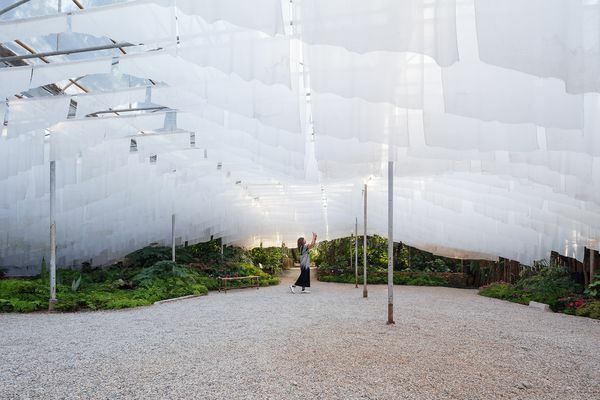 It is also due to the delight and interest in the very wide variety of plants on offer, with a truly dazzling array of forms and possible uses for places where almost no water falls from the sky. 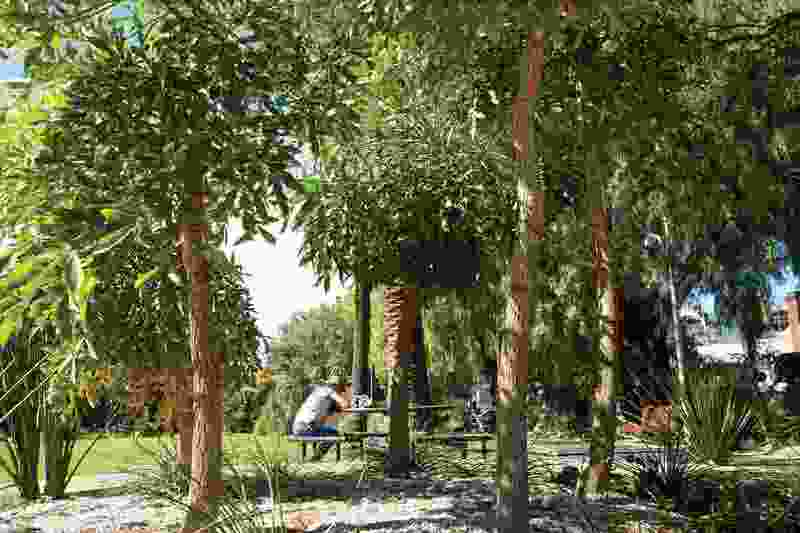 Australian native plants are generally considered drought-tolerant, but these plants in Phoenix are largely drought-proof. Throughout much of Australia, the management of water demand is a key issue for planting design, as is the need for plantings to resist seasonal drought or tolerate hot, dry, exposed and windy conditions. 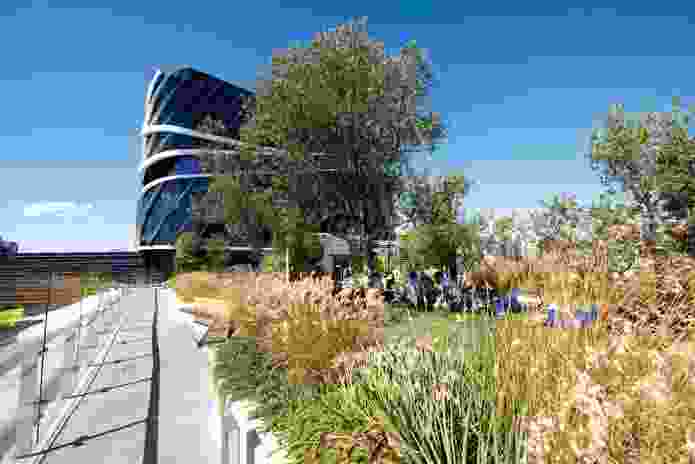 The current popularity of the roof garden and the green wall also suggests uses for drought-proof plants as part of an extended repertoire in our planting designs. The next drought is never far away, and increased variability in all of our climates is already testing the resilience of planting designs in all situations. Failures are common. The plantings at the Desert Botanical Garden provide a dazzling array of forms and suggestions for places where almost no rain falls. In my practice, Rush\Wright Associates, we have been testing plants to their limits, at many ends of the spectrum of water demand. Where water is plentiful, the range of subtropical subjects that now work well here in Melbourne is quickly expanding. Species from our seasonally dry coastal rainforests, and from similar climate regimes, are all seen to thrive. The garden at our home and studio has become a testbed to try out many new plants. 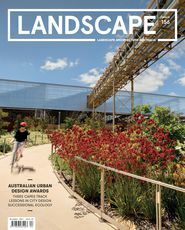 This is a vital form of research and suggests that the number of hours a landscape architect actually spends gardening should become a key measure of our continuing professional development – perhaps the only measure. Arid lands bring new delights, and many are now available in the nursery trade. The excellent plants available from the nursery Living Sculptures, for instance, bring treasures from arid lands right to our planting design doorsteps, and in large sizes. The list is long, but highlights for us have been the weird and wonderful Dasylirion wheeleri (desert spoon), Dasylirion acrotrichum (great desert spoon), Nolina nelsonii (blue nolina), Euphorbia trigona ‘Rubra’ (African milk tree) and the venerable and marvellous Ceiba speciosa (silk floss tree or Mayan tree of life). The smooth form of the Opuntia ‘Burbank Spineless’ (prickly pear) also beckons. The Rush\Wright Associates-designed roof terraces at the Victorian Comprehensive Cancer Centre are planted with a mix of succulents and grasses under mature olive and bottle trees. If you love plants and love mixing them up, it doesn’t matter if the plant is or is not an “Australian citizen.” Let the composition and the beauty of plants tell their own stories of nature. 1 . Frank Lloyd Wright’s “Concerning Landscape Architecture” in Bruce Brooks Pfeiffer (ed. ), Frank Lloyd Wright: Collective Writings, 1894–1930 , vol 1 (New York: Rizzoli International, 1992), 54. 2 . Gertrude Jekyll’s Home and Garden was first published in 1900. Catherine Rush lends scale to naturally occurring Carnegiea gigantea at Desert Botanical Garden in Phoenix, USA. Grattan Gardens in Prahran, Victoria, designed by Rush\Wright Associates, contain young Cussonia spicata planted closely to create a giant multi-stem.